Learn about 451 Research's take on NS1's strategy, products, customers, and competition. As IT departments evolve into service delivery organizations there’s a need to align cloud service spend with business results. 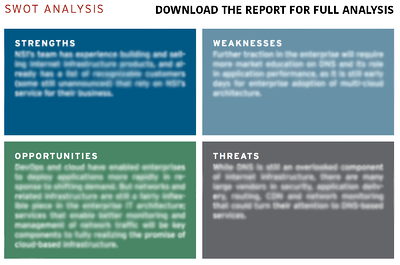 Measuring the impact of application performance on the business is critical. In this report, learn how NS1 is helping leading organizations like Yelp, Imgur, CatchPoint, TurboBytes, and more drive results with intelligent DNS & traffic management. "Beyond measurement, the ability to adjust infrastructure strategies on the fly in programmatic fashion is the piece of the puzzle that NS1 is aiming to address with the addition of Pulsar. [NS1] is on target with its offering."